When Drugs Aren’t Enough to Give You Your Life Back! Do you have Rheumatoid Arthritis, Psoriatic Arthritis, Colitis, Crohn’s Disease, Hashimoto’s, Grave’s, Endometriosis, Irritable Bowel Syndrome, Osteoporosis or some other autoimmune condition? Join our FREE seminar. Seating is Limited. First-Come, First-Served. Bring Your Spouse or a Guest—Adults Only! Diabetes slowly sweeps your health away without you knowing it. Already Given Up? It's not too late to reach your weight loss goal! Lose 20-30 pounds in Just 6 Weeks or your next round is Free! Discover the Likely Reasons You Continue to Suffer! We can make anyone LOSE that stubborn WEIGHT! It is important to monitor your hormone levels throughout the lifespan and take action early to address imbalances before it affects your health or quality of life. … despite thyroid hormone therapy & normal test results? As a licensed provider for the Pastoral Medical Association, Dr. Rooh serves only members of the association’s free *Member Share Network*. 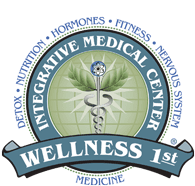 He advocates restoring divine wisdom to healthcare, offering natural, non-invasive programs for gaining and preserving wellness through broad *lifestyle enrichment* rather than “treating” or “curing” disease.